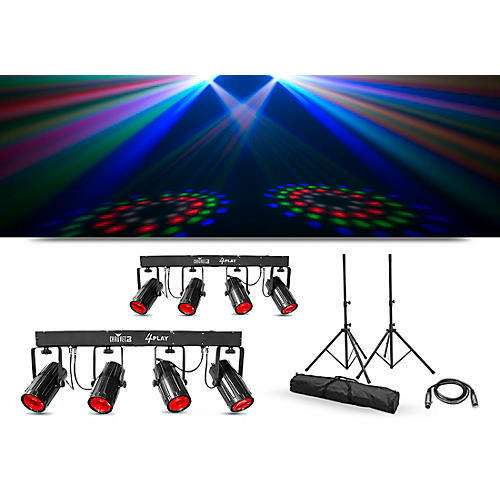 The CHAUVET DJ 4PLAY provides a ready-to-go lighting bar for the traveling entertainer. The bar is fitted with four LED moonflowers each containing 57 red, green, blue, and white diodes to produce razor-sharp, rotating beams. The 4PLAY light bar gives you individual control of red, green, blue, and white LEDs within each light, plus each of the four moonflower lights can be individually positioned.